Some words are just between us was the first exhibition in Australia by Chinese-born, American-based artist Pixy Liao, who is known primarily for her intimate series of work that focus on the relationship between herself and her Japanese boyfriend (5 years her junior). Part performance and part biography, the works in the exhibition presented an introspective and personal perspective on themes of power and identity, focusing on the boundaries between public and private, as well as themes of everyday relations and individual life. Conscious of traditional Confucian marriage values, which privilege the male, as well as the fraught ongoing international relations between China and Japan, Liao’s photography series can be seen as the artist’s attempt to dismantle heteronormative expectations and power structures. By positioning herself as a figure of authority, mimicking art historical subjects, performing for the camera, and subjecting the male body to a ‘female gaze’, Liao invites viewers to question accepted myths of romance and relationships. 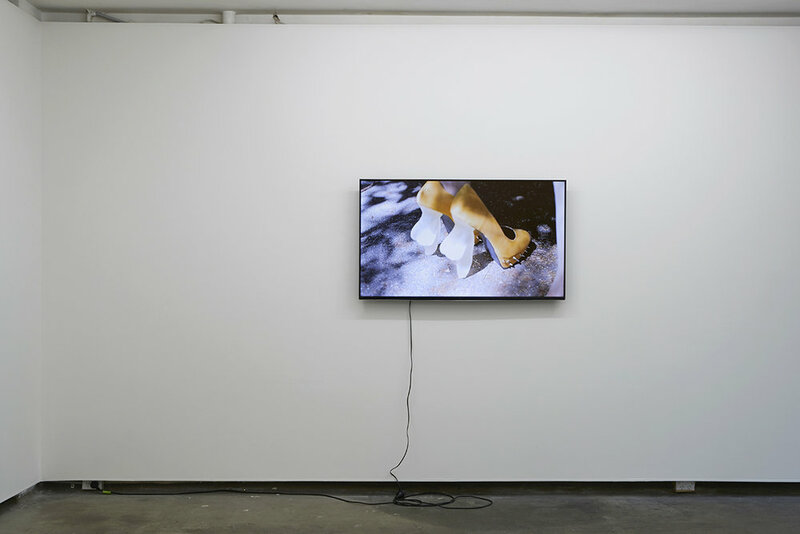 In her related video work and installation, Liao further challenges gendered tropes. The phallic obsession of these works is humorous as it is subversive, focusing on sexual desire and attraction as a means to disassemble patriarchal values. While Liao’s works can be understood in the context of larger socio-cultural trends and the artist’s own experience as a Chinese artist living in America, its interpretation is not wholly defined by cultural context or circumstance. Rather, there are more universal themes at play here about the nature of intimacy, and more importantly what it means to live and co-exist alongside others.